The first half of May 22, 2015 will allow you openly express your feelings and emotions. During this time you'll be able to have clear understanding of your perspectives; you'll be able to look into your future with realism and optimism. You can do some self-studying in the second half of the day. . It's time to think about material things, incomes, audits of your revenues and liabilities. The day promotes a practical outlook on things. High passions and energetic steps directed at self-expression are not as relevant as taking care of the general foundation of your existence. 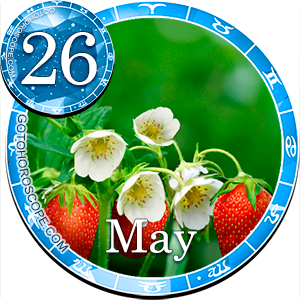 May 22, 2015 emphasizes Taurus' power and aspiration for independence. Your instincts may announce themselves with unseen passion especially if you are the Bull born in April. If you want something, you'll be determined to get it and others' opinion will mean very little to you. Try to set reasonable boundaries for your obsessive secret thoughts. You should also avoid fundamental initiatives as well as overly emotional exciting contacts. Try to refrain from unnecessary conversations and gossips. Your thoughts should be focused on reliability, calm and material well-being. Cancer's thought of the future will be perseverant and determined. But you are capable of adopt a wise strategy of actions based on your instinct without much additional contemplation. This is not a bad day. It allows you to feel calmer and more harmonious as well as be more confident with others. Your interest in material benefits especially those which are given to you by your professional position, work occupation, physical looks and official powers. Others may seem to reproach your thirst for good life, but this will hardly stop you. Virgo's desire to enjoy simple joys of life is getting stronger. You are getting enough opportunities for it. You will be successful in everything that calls for realistic approach, fundamentality and patience. Don't forget about good nutrition - asceticism is not a mandatory condition for success now. Libra should spend some time on material problems. Focus on mutual resources. You may become interested in your partner's financial possibilities or the cost of their household life. If you intent to borrow some money, don't borrow much and for long; instead, give yourself a few more day to think things through. 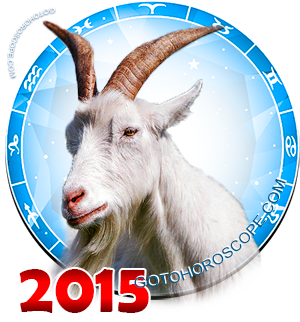 Partners' opinions and needs have special meaning for Scorpio on May 22, 2015. You may question them, but can hardly ignore them. If you see the other half's appetites and self-esteem escalating, try to keep things calm and simply wait them out for a day or two. Good income is impossible for you without a job. You may go to work in person to earn salary or you may have people working for you. You may especially easily benefit from the activities associated with providing domestic, informational or psychological services, catering and hotel or tourism business. This is a harmonious day for the Goats. It guarantees general psychological stability. You are strongly interested in family affairs which provide you with the sense of safety and predictability. You may rest assured that money and effort spent on your home hearth are not wasted - you will get rewarded. Staying home will be a wonderful alternative to wandering and traveling. This is true not only about external physical movements in space. Traditional values and reliable support your dear ones offer can be as important as spiritual searching and interacting with distant and close confederates. Pisces may be interested in socializing with its close relatives or going away for a short time with them. It'll be a wonderful idea for you to spend some time outdoors or do some household chores. If your prefer art to routine life, your artistic perception will be much keener and more profound.